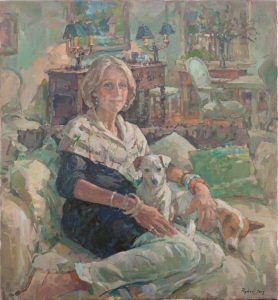 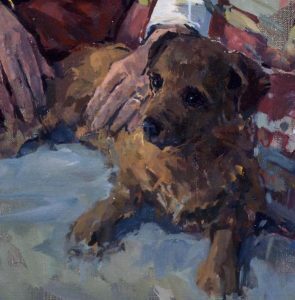 When it comes to dog portraits, every dog-owner will know that each dog is as individual as its owner; something that the artist ignores at their peril. 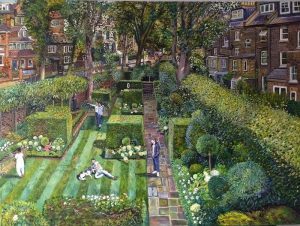 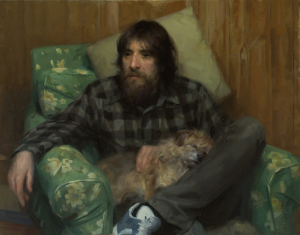 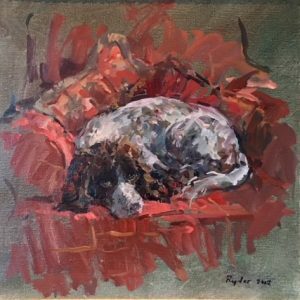 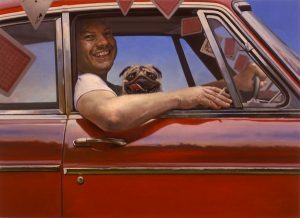 Many of our Member artists enjoy painting dogs. 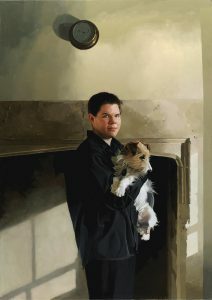 Dog portraits can either be included within a portrait of a person or as a work of art in their own right. 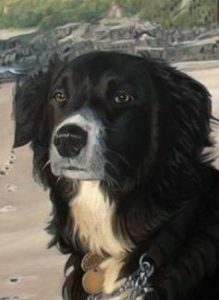 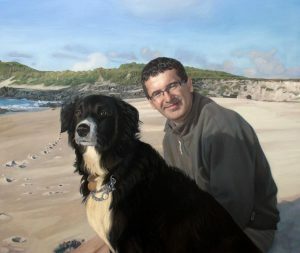 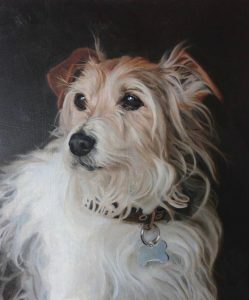 The techniques for capturing a dog’s likeness are very much like those for humans with artists using the mixture of ‘sittings’ and photography that best suits their method of working and the nature of the particular dog so the commissions process is much the same.